Not sure about the flu shot? Fight back with food instead! 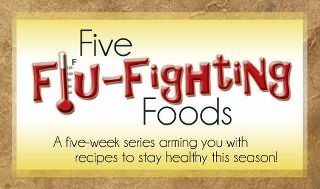 Welcome back to 5 Flu-Fighting Foods–a 5-week series that will arm you with recipes to stay healthy this season! Today’s flu-fighting food is yogurt! I absolutely LOVE yogurt. 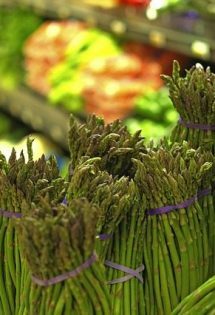 I grew up eating it all the time, but I had no idea what a super food it is until just a few years ago. 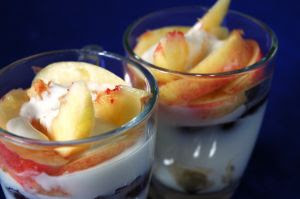 Yogurt is chock full of probiotics, which balance out the flora in your gut. For more information on probiotics, check out this post. Learning a little bit about them is a MUST for your health! 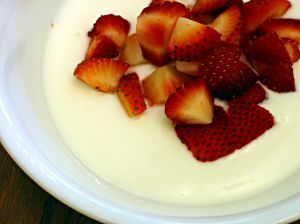 It is BEST to consume plain yogurt, but if you don’t like the taste, you can always sweeten it with honey or fresh or frozen fruit. Homemade organic yogurt is also best, but I will admit, I buy Stonyfield Farms organic yogurt (and earn free yogurt through their points system!). 1. Take a yummy probiotic pumpkin dip to a party. 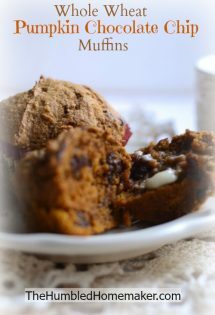 Serve with fresh apples or gingersnaps! 2. Make a cheesy green bean casserole with Christmas dinner, and sub yogurt for the sour cream. 3. Make and eat a yogurt parfait on Christmas morning (or the day after, when you’re feeling really full and want something light!). 4. 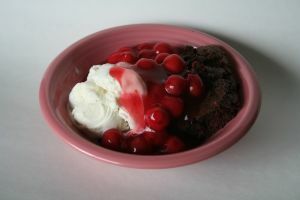 Instead of topping your desserts with cool whip, top with plain yogurt. It will give it a tart taste that will cut the sweetness. 5. 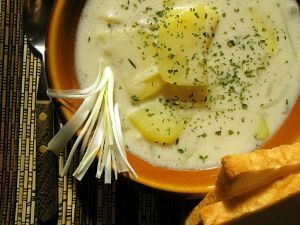 Stir some into a creamy potato soup or top the soup with it, cheese and chives. 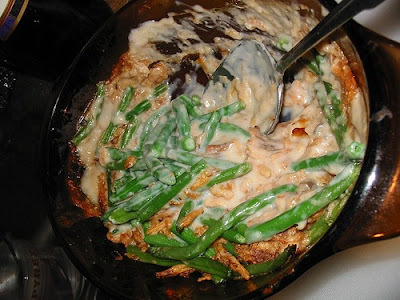 Makes for a great dinner on a seasonally cold night! What are your favorite uses for yogurt? Be sure to check out the great yogurt recipes and tips shared by the other amazing homemakers hosting this series! *Be sure to visit the other co-hosts in this series to see who they picked as their favorite posts last time! 1. Your recipe must be a YOGURT recipe. Any entry submitted that does not include yogurt will be deleted. 2. 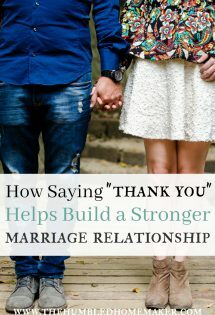 Please link your posts back to one of the hosting blogs. This way your readers can have access to all of the other great garlic recipes as well!